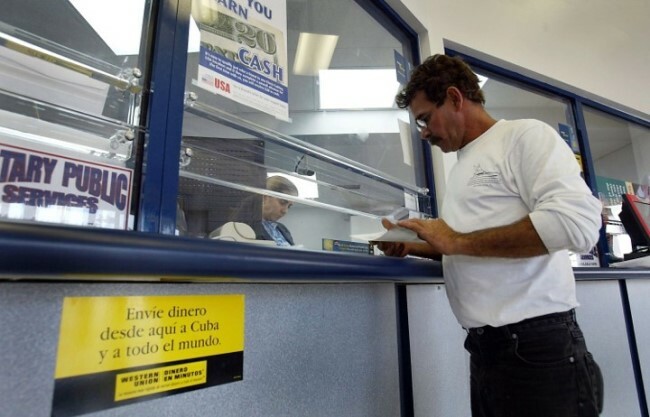 Remittances to Cuba Diversify and Heat Up the Payment Channels, by Emilio Morales. The Havana Consulting Group, March 3, 2018. Remittances to Cuba in 2016 Grow by 2.7%, by Emilio Morales. The Havana Consulting Group, July 20, 2017. Analysis: Cuba Remittances and the Shifting Pattern of Cuban Emigration, by Emilio Morales. Cuba Trade, April 27, 2017. Cuba: The Fastest Growing Remittances Market in Latin America, by Emilio Morales. The Havana Consulting Group, June 23, 2016. In Cuba, Cash Trickles In for Budding Capitalists, by Dudley Althaus and José de Córdoba. The Wall Street Journal, January 10, 2016. Las remesas enviadas a Cuba desde EEUU podrían doblarse gracias a la apertura. El Comercio, February 24, 2015. Año 2013: Récord de remesas y viajeros a Cuba, by Emilio Morales. Café Fuerte, December 23, 2013. Remittance Recipients and the Present and Future of Microentrepreneurship Activities in Cuba, by Manuel Orozco and Katrin Hansing. In Cuba in Transition (Volume 21), edited by the Association for the Study of the Cuban Economy (ASCE), 2011. On Remittances, Markets, and the Law: The Cuban Experience in Present Times, by Manuel Orozco, Inter-American Dialogue, 2009. Remittances to Cuba: A Survey of Methods and Estimates, by Sergio Díaz-Briquets and Jorge Pérez-López. In Cuba in Transition (Volume 15), edited by the Association for the Study of the Cuban Economy (ASCE), 2005. Cuban Americans on Remittances and the Embargo, by Frances Alia Spiegel. Florida International University, M.A. Thesis, 2004.